I had hoped at the beginning of the year that I would get my time per mile down close to 7 minutes, but this was before I ran my first race. I have become more realistic since taking up running to just expect small incremental improvements. My last run was a 5 mile race that I expected to finish in 45 minutes but instead finished 48:18. It was a local race and the finish line was walking distance to my house. I walked home with a small feeling of shame and when I got home I didn’t feel the euphoric accomplishment of finishing a 5 mile race. Instead I just looked at the whole race as a disappointment and an opportunity of a missed personal best. I knew I had no one to blame but myself for lack of training. My race was erratic which saw my pace start off too fast and mile after mile drop down slower and slower. That night I reviewed my progress for the year and could see that although I was making some progress it was blatantly clear that I was not doing any real training. 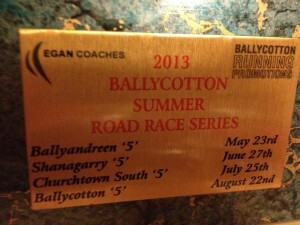 Instead I was relying heavily on the races to put in the mileage. So I pledged to run more often and genuinely improve my time and this time was going to stick with it. My last run was 18 days ago and despite that promise I have yet to set my foot outside with a pair of runners on. What happened to me? I constantly put off each run for the next day for what ever small excuse I could come up. Days slipped to a week and quickly to a fortnight and beyond. So now I stand like an attendee at an AA meeting. “It has been 18 days since my last run”. Unlike an AA meeting where each day added is an honour,this meeting in Non-Runners Anonymous each day added is a badge of shame. I can see the circle of people that I am confessing to in my head and they all look at me with utter disappointment. Well those that can look at me, most are just looking at the ground and shaking their heads slowly from side to side. Well, I am here to get better. I’m committing my words to this blog so that I no longer pledge them to myself but to anyone who ever checks this post. I have a plan. My next race is a 4 mile route (November 3rd) followed two weeks later by a 6 mile race. I’m going to follow a plan that I have set up using http://gip.is which targets the 3rd of November as a 10K race. This way I should find 4 miles an easier run and be prepared for the 6 miles a fortnight later. The targeted training will set me up for 9:02 minutes per mile. My pledge “I promise to complete 4 training runs per week and finish the 4 mile race on the 3rd Nov in 36:08 or quicker” At the moment I’m really looking forward to reading my post on the 3rd November. 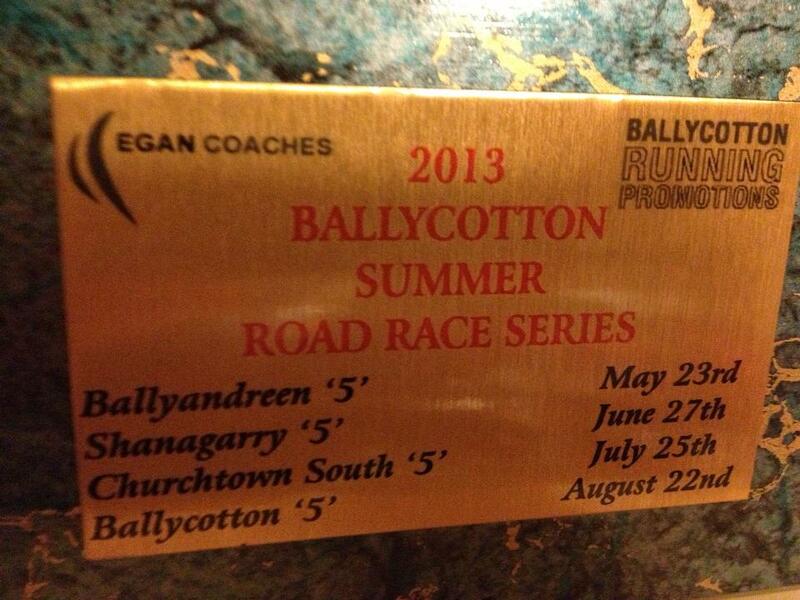 Tonight saw the last run in the Ballycotton Summer Series. Each of the four runs was 5 miles long. For someone of my meagre fitness, each felt like a marathon. At the end of the race I picked up my plaque. To earn this all that was required was to complete all four races. Despite this it feels like getting a gold medal. This time last year I wouldn’t last 60 seconds running let alone finish a 5 mile run. Sometimes I end up with needing something that requires Windows to work. So for the past while, after my run is finished I pester my son to use his laptop. Considering the information is displayed via a web browser it seems like such a waste to get a windows machine up and running just to upload the data. Well not any more. Here are the steps I did on my Ubuntu distro. Bus 004 Device 002: ID 0fcf:1008 Dynastream Innovations, Inc.
For me this failed. I therefore turned pairing off from the watch and ran ant-downloader again. Now I was prompted to confirm the pairing and when done the data was downloaded to the my Linux laptop.